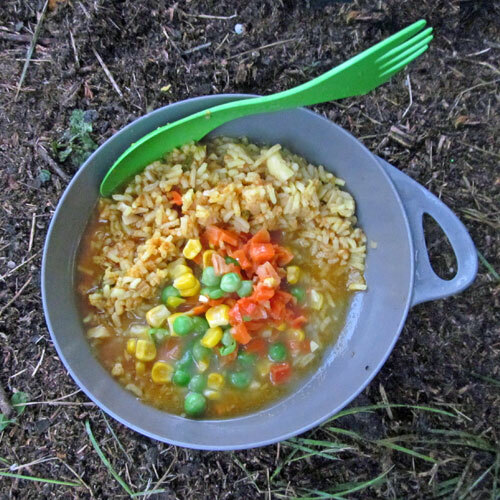 Considering all the camping cookbooks I have, you'd think making food is my favorite part of being outdoors. Truthfully, I'm not much different in my food preparation habits on the trail as I am at home: I'm always just looking for something convenient that also fits my dietary needs — something tasty and quick. 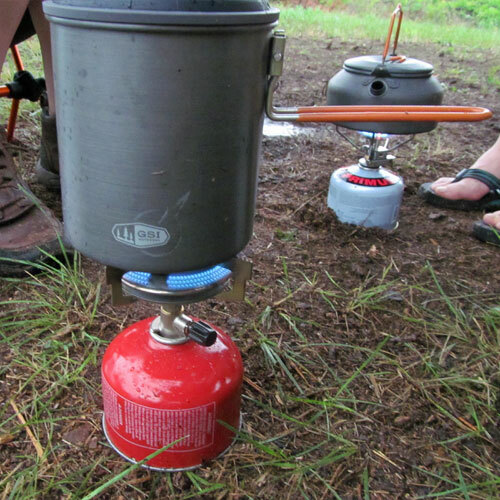 When I learned about Great Outdoors Food, I immediately recognized that the web service was perfect for people just like me: those who would rather spend their time hiking the trail than being stuck cooking at the campsite. 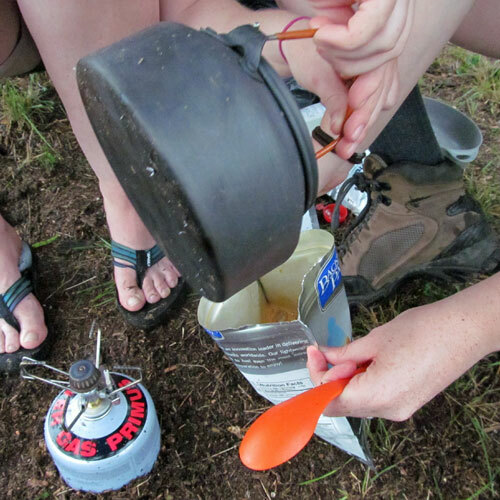 In an effort to provide backpackers with one central resource for purchasing food, Laura Gallenbach created Great Outdoors Food earlier this year. You can learn more about her path to establishing the business in our interview. 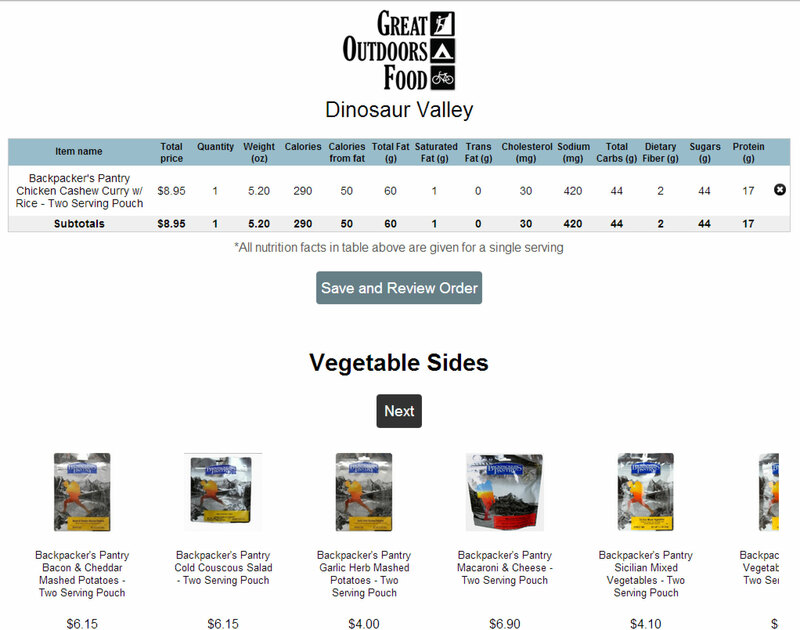 There are two ways to purchase tasty meals from Great Outdoors Food's website.The first is simply to head to the shop and pick out your favorites. These are categorized by drinks, condiments and spices, dessert and candy, protein, snacks and vegetable sides. Individual descriptions of food items include an ingredient list, cooking directions, allergens, photos and nutrition information. Weight is not available here.The other way to shop is to build a custom meal. This is the method I chose, as I wanted to keep track of nutrition information and shopping cart price. I decided to purchase just one meal as a test run: dinner for a camping trip to Dinosaur Valley State Park, Texas. I knew I'd be hiking quite a lot (and probably sweating a lot), so I wanted something easy and tasty for the end of the day. When I clicked on the Meal Planner section of the website, I was asked to name my custom meal and then begin putting together my meal by selecting from available proteins. Nutrition information, weight and price were evident when shopping, although cooking instructions weren't. I selected a Backpacker's Pantry Chicken Cashew Curry with Rice and the moved on to the other categories. The cumulative cost, weight and nutrition information for all of my selections so far were posted on each page so I could keep track of my spending and nutrition. By the end, my meal included the chicken curry, Backpacker's Pantry Vegetable Medley, two packets of Crystal Light On the Go Lemonade and a Backpacker's Pantry Hot Apple Cobbler. Yum! For this meal for two, I was looking at a total cost of $19.23 (plus shipping) with 640 calories packed into 12 ounces. When I placed the order, I immediately received an email order confirmation, as well as an email detailing the custom order's nutrition information and price. Later that same day, I received a shipping confirmation email. My food arrived on my doorstep just a few days later. The meal was packaged together in a Ziploc bag with the order summary on top. 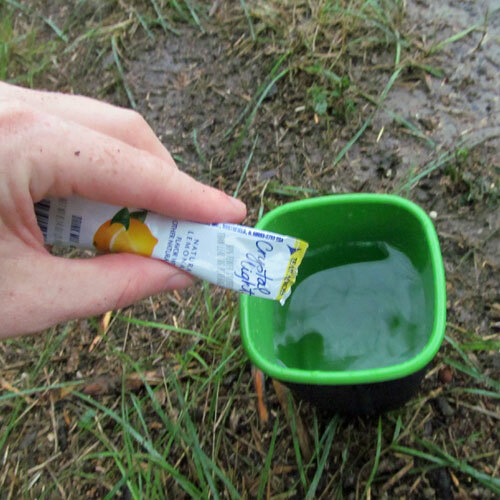 On the day I tested out the goods from Great Outdoors Food, it was raining hard. My hiking companions and I huddled under a tarp to cook and eat. Even though the conditions weren't ideal, the food sure was! We started with the chicken curry and vegetable medley, boiling the water required in two separate pots. Fortunately, my bowls indicate fluid ounces, so it was easy to measure out the volume required for the two dishes. Following the directions, we poured the water into the pouches, stirred them, and sealed them back up. It was a 13-minute wait while the two dishes cooked in their sealed bags. In the meantime, we made individual servings of Crystal Light lemonade and snacked while we waited for the food to cook. Before long, the curry and veggies were ready, so we eagerly broke open the sealed packages and were greeted with delicious-smelling steam. We poured out the contents and chowed down, starting the next pot of water for the apple cobbler while we ate. Unfortunately, I didn't take the time to look carefully at the instructions for the apple strudel before I left home, so I didn't bring the requisite nonstick cooking pan. Instead, I used a pot, which made it a bit fluffier than it was meant to be. It tasted great, though — like eating clouds! About the food: Every item ordered from Great Outdoors Food was absolutely delicious. 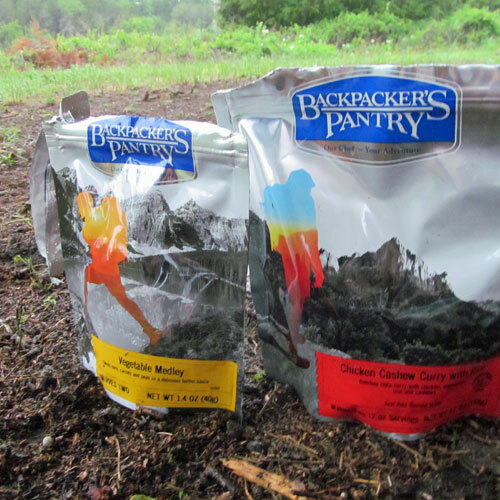 We loved how the two savory Backpacker's Pantry items cooked in the bags they came in, meaning we didn't have to dirty anything but forks if we wanted, and our trash remained highly contained. The only issue we had with any of the food was how much the apple strudel stuck to the bottom of the pot, but this was our fault for not bringing a non-stick pan. 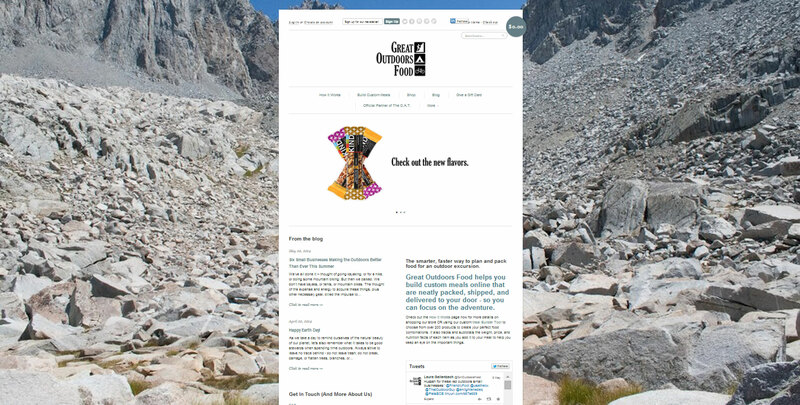 About the website: Great Outdoors Food offers a wide array of delicious (and nutritious!) food offerings. With popular brands galore and both ready-made and just-add-water items, anyone can find food items they love. I would love to see a bit of a wider variety of gorp (trail mix), but there certainly are some — and I know the site often adds new items. I haven't conducted a price comparison, but the cost of food at Great Outdoors Food seems to be comparable to grocery stores and shops like REI. About the experience: From first landing on the website to polishing off the last bite of dessert, shopping with Great Outdoors Food was a great experience. It was easy to navigate while keeping track of the information I wanted to know, and I found plenty of food that sounded appealing to me. I received ample communication and confirmation from Great Outdoors Food after I placed my order, and my order arrived swiftly and neatly packaged. 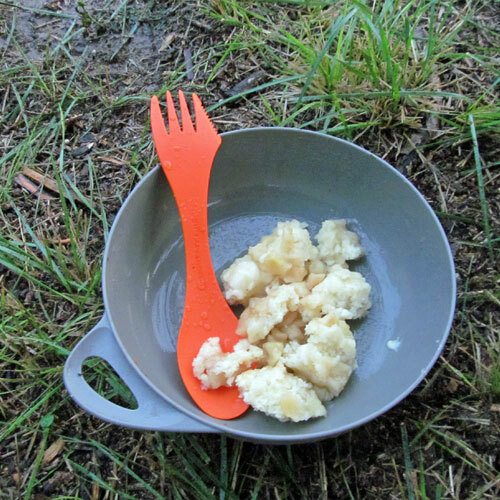 When it came time to eat on the trail, everything tasted wonderful and was very easy to cook according to the instructions. 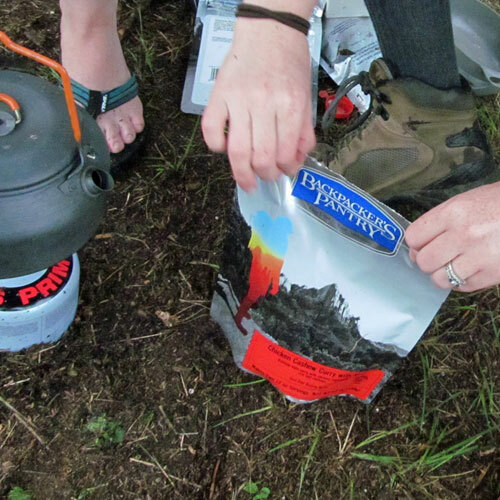 I highly recommend using Great Outdoors Food for any camping and backcountry adventures, especially for those who live in a smaller city or like to plan backcountry meals at least three or four days ahead of time. This one-of-a-kind resource truly is a gem, and I look forward to seeing it grow! 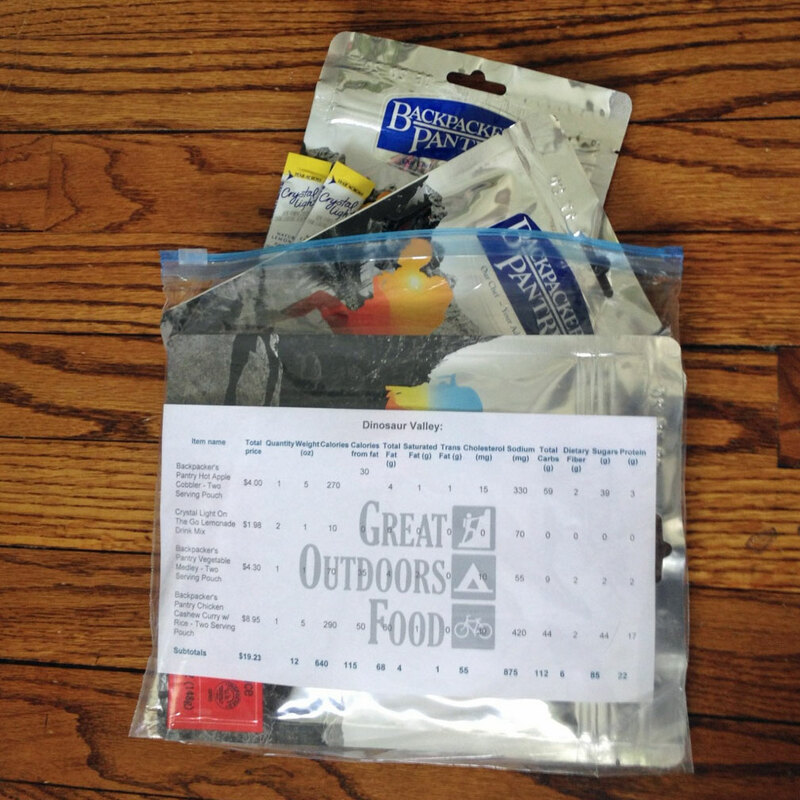 Thanks to Great Outdoors Food for providing Ardent Camper with a coupon code to try out their service. All opinions expressed here belong to Ardent Camper alone.